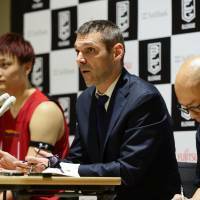 The Nishinomiya Storks on Saturday named Miodrag Rajkovic as their new head coach. 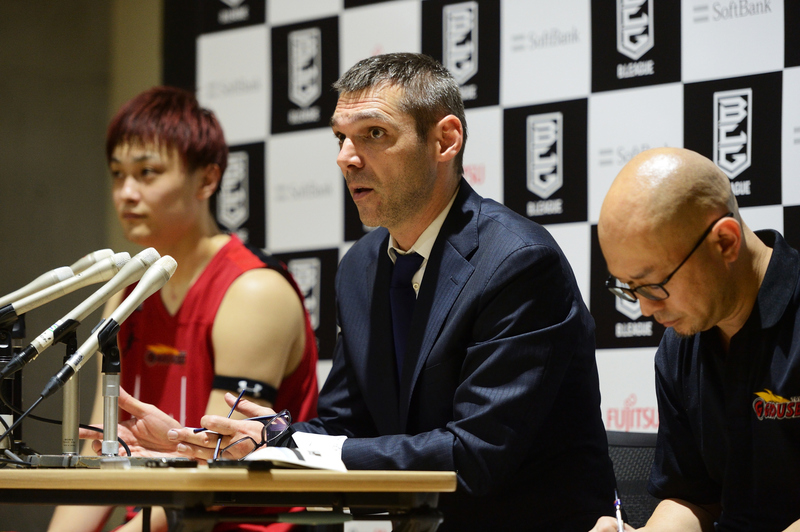 The 47-year-old Serbian mentor led the Toyama Grouses in 2017-18, but was not retained. Toyama went 24-36. Kensaku Tennichi, who guided the Osaka Evessa to three championships in as many seasons at the start of the bj-league era in 2005-06, served as Nishinomiya’s bench boss the past two campaigns and led the Storks to the B2 title in 2016-17. Nishinomiya slipped to 12-48 in the top flight this past season and was relegated to B2. Rajkovic has extensive coaching experience in Europe (Serbia, Montenegro and Poland). He also served as an assistant coach for the Milwaukee Bucks during the 2017 NBA Summer League. Big man Daniel Miller, a key contributor for the Levanga Hokkaido over the past two seasons, has joined the Sendai 89ers. The second-division club made the announcement on Wednesday. New 89ers general manager Takehiko Shimura described Miller as an “active big man” with a strong reputation among the league’s post players. Shimura, who’s beginning his first season as GM after a successful playing career, added that the 211-cm Miller is a vital part of the team’s revamped lineup, noting the Georgia Tech alum is a “reliable rebounder and rim protector” while citing his high shooting percentage and solid passing skills. Miller, 27, acknowledged he’s looking forward to the opportunity to suit up for Sendai. Gary Boyson, who has worked in scouting for the NBA’s Toronto Raptors, Los Angeles Lakers, New York Knicks since 2001, is a new addition to the 89ers front office. The Canadian was an assistant coach for the Hong Kong Basketball Association during the 2002 Asian Games and the Chinese Basketball Association’s Jilin Northeast Tigers in 2003 before becoming a scout. Earlier this month, he was hired as Sendai’s team’s adviser for global scouting. Boyson was with the Raptors from 2001-04 and the Lakers from 2005-11. While with the Knicks (2012-14), he served as director of player personnel in the Asia-Pacific region. Boyson, who played college ball at Lamar University and Tennessee State, said he embraces this next chapter in his career, working for a rebuilding team under new ownership and management, including first-year head coach Dai Oketani. “I will share my global basketball team-building knowledge gained from over 15 years as an NBA scout and executive…,” Boyson said.